Tenants enjoy the benefit of the building's cutting edge technology, and LEED Gold Core/Shell. A commitment to preparedness resonates throughout Constitution Center. 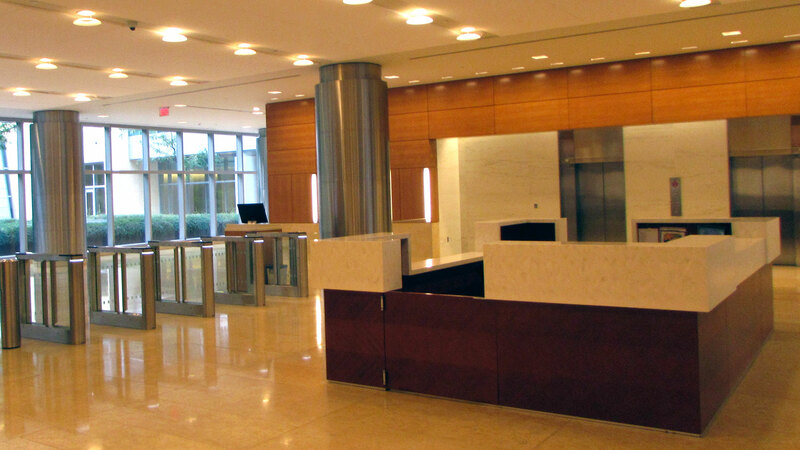 CC Owner LLC has taken a proactive approach that anticipates – and then protects – Constitution Center’s occupants, resources, structure, and continuity of operations from multiple hazards. Constitution Center is a unique building even by Washington standards. The ten-story facility is divided into four quadrants surrounding a one acre landscaped courtyard park. Offering the latest in workplace design and optimum flexibility, the building easily allows stacking either vertically or horizontally. 90’ floorplate depth provides abundant natural light, reducing demand for artificial lighting. Energy-efficient chilled beam HVAC system, widely utilized in Europe. Building management system with environmentally responsible operating and maintenance practices. Advanced air and water filtration systems improves air quality and provide drinking water equivalent in quality to bottled water. Private one-acre courtyard designed as a calm, contemplative environment ideal for gatherings and quiet reflection. 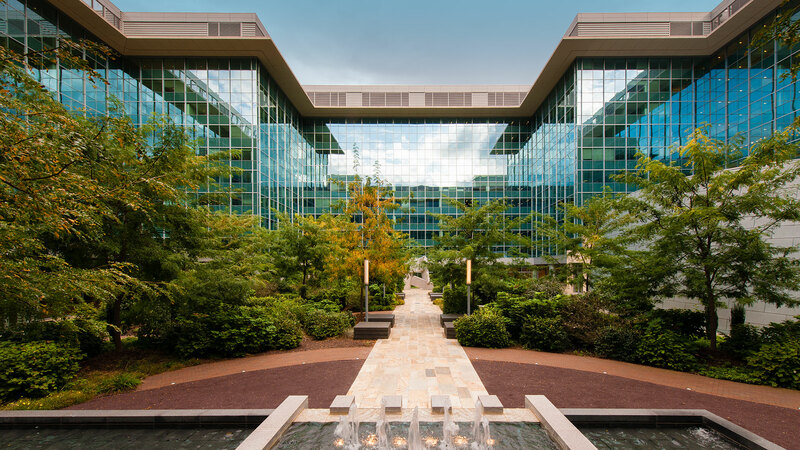 Constitution Center improves the quality of the work environment, from energy efficiency and water reduction to sustainable building materials and positive indoor air quality. With a LEED Gold Core Shell rating: recognizing Constitution Center as a landmark of sustainable design. The "green" improvements provide a positive effect on tenants; sparking an aggressive building-wide recycling program, a pride of place and further breakthrough ideas. 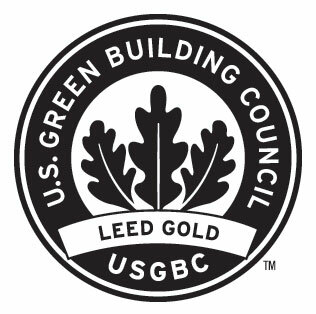 USGBC LEED Gold certified building in Leadership in Energy and Environmental Design. Leading edge of energy efficiency and environmental responsibility through the reuse of existing structure and recycling over 75% of the waste created from demolition. Outstanding conversion of non-permeable courtyard into a lush, one-acre landscape courtyard. 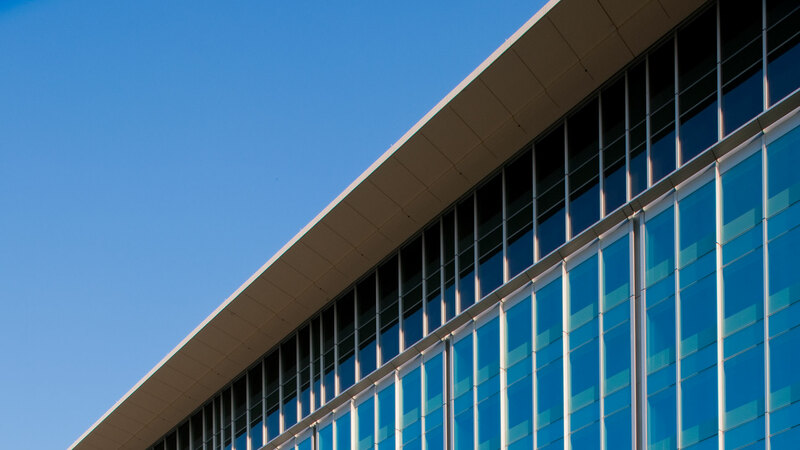 Large, floor-to-ceiling glass curtainwall permits maximum natural light throughout the day. Major decrease of more than 3 million gallons annually in water consumption, with low-flow toilets, and waterless urinals, and other measures. Sophisticated HVAC system that reduces energy consumption with innovative chilled beams. Constitution Center contains two works by nationally recognized artists, sculptor Richard Deutsch and artist Stephen Knapp. The sculpture was created to honor the memory of David Nassif and his son David E. Nassif, who developed the original building, and the lightpainting was commissioned to celebrate the building’s rebirth and the future. Drawing references from the massing and shape of the original building by noted architect Edward Durell Stone, Richard Deutsch created Legacy. 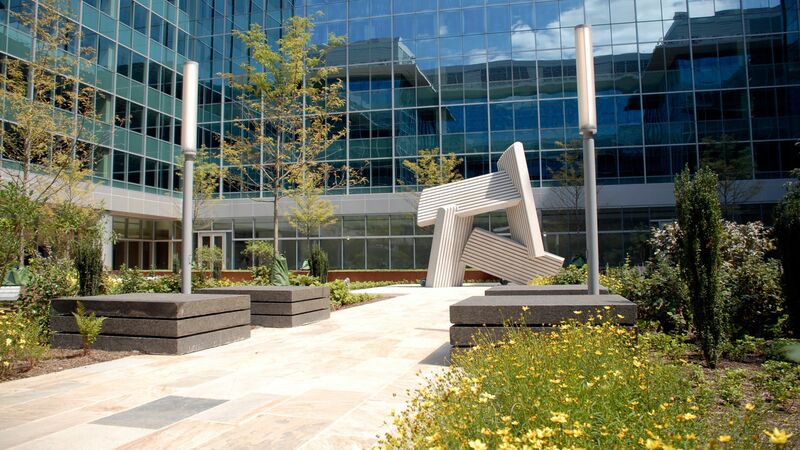 The sculpture consists of interlocking granite elements which reflect the quadrants of the former building, and the granite elements incorporate vertical striations in the stones to evoke the memory of the former marble façade. 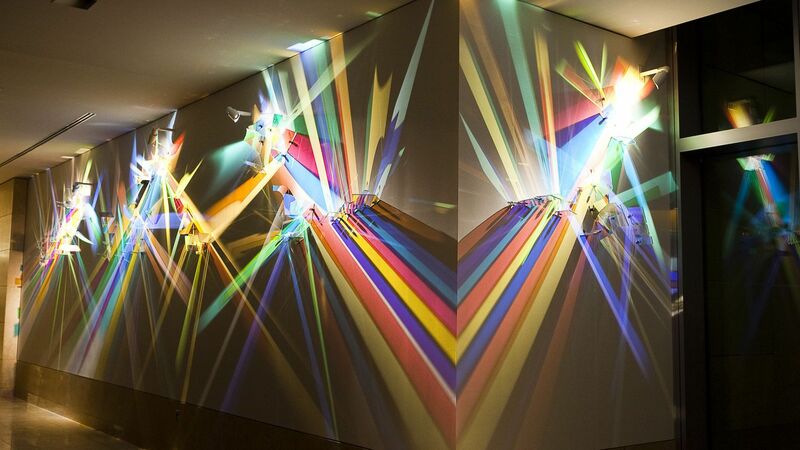 Stephen Knapp’s Transformation is a dynamic and colorful lightpainting that splashes intense beams of colored light along the walls and ceiling to create a mesmerizing composition. The light begins at the D Street entrance of the L’Enfant Metro and visually leads you into the building. Constitution Center has extremely demanding operational requirements that merit much more rigorous commissioning efforts than most other buildings. From the very beginning of the renovation project, the team employed a holistic approach; demanding a commissioning process and bringing together a team that offered commensurate breadth, depth, and experience. This approach assured the utmost confidence in Constitutions Center’s level of safety, reliability and cost-effective operations. Working together during the design phase as well as monitoring implementation during the construction phase, our team was able to affirm a more efficient process. 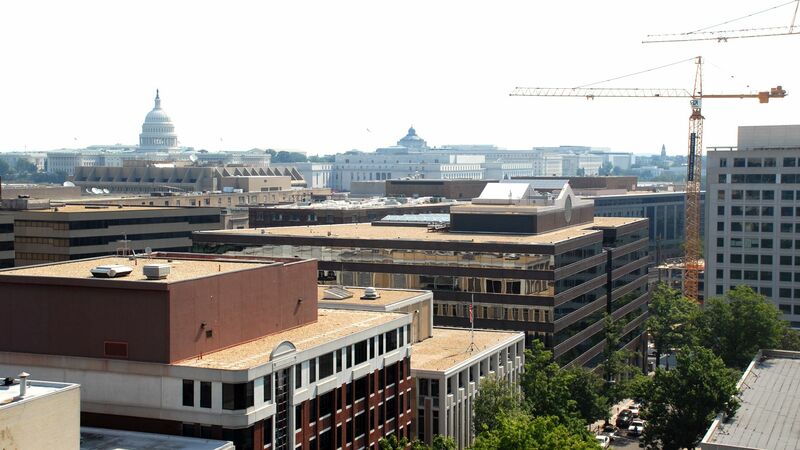 Some of the recognized industry leaders that worked on Constitution Center include Facility Dynamics, as the equipment commissioning agent; Smith Group engineers, as the final systems commissioning agent; and Wiss, Janney, Elstner Associates, as the building envelope commissioning agent. By making commissioning a key element of this project, the team was able to assure a systematic approach to final commissioning; enhancing quality control. 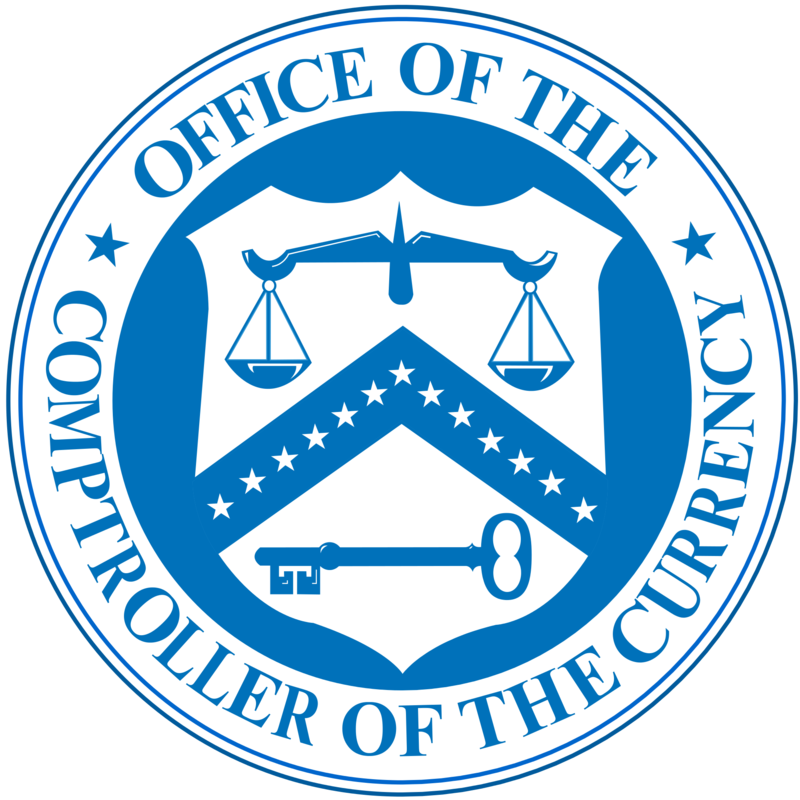 Tenants include Office of the Comptroller of the Currency, the Federal Housing Finance Agency, and General Services Administration. 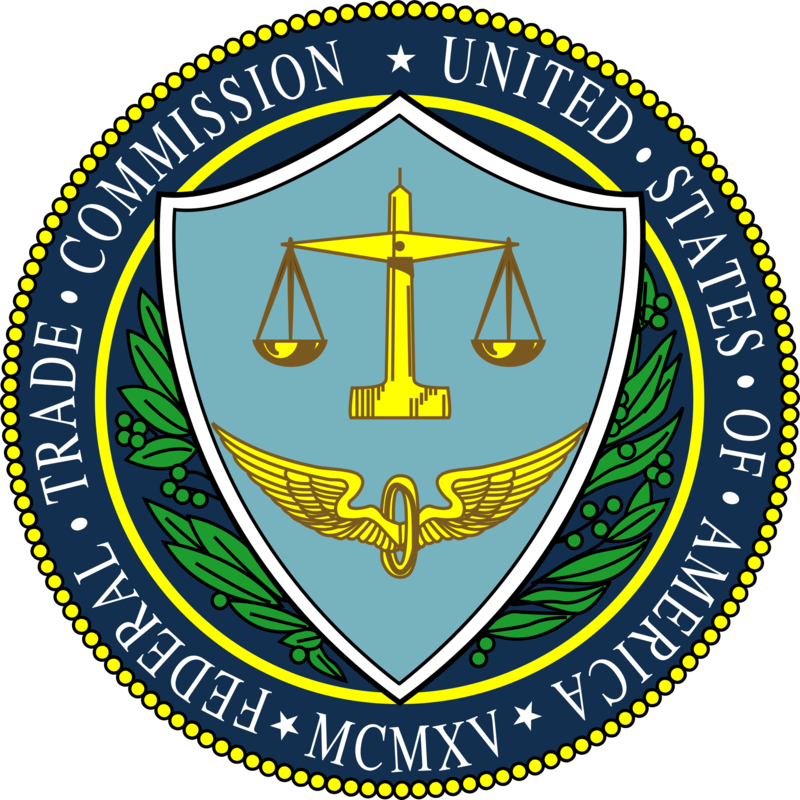 The building is also occupied by Federal Trade Commission, National Endowment for the Humanities, and National Endowment for the Arts.